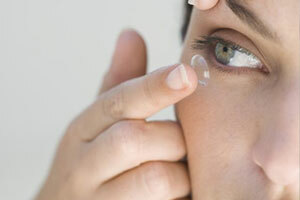 We are specialists in eye care, eye health and vision enhancement. We are a family-friendly optical practice with a small, stable team of Optometrists (Ophthalmic Opticians) who are all fully qualified, have long experience and are registered with the General Optical Council. They are passionate about providing you and your family with excellent clinical care, they take the time to get it right and they will explain their findings to you every step of the way. The BIG Optician Newcastle is an official stockist of the world's leading designer glasses and designer sunglasses: including Lindberg; Oakley; Oliver Peoples; Tom Ford; Prada; Dior; Armani; Gucci; Versace; Fendi; Bulgari; Ray-Ban; Dolce and Gabbana; Persol; Moncler; Bottega Veneta; Booth and Bruce; Michael Kors; Anglo American; Maui Jim; William Morris; Paul Smith; Tiffany & Co.; Vogue and many more. As well as designer glasses we cover the complete range of spectacles: budget glasses; varifocals; bifocals; thin and light lenses; curved lenses and wraparound frames; work station and computer glasses; high definition lenses; photochromic lenses; polarised lenses; and sports eyewear. 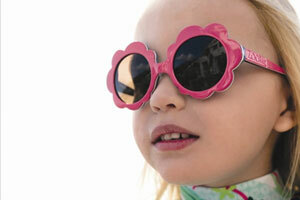 We have a range of glasses for children and teenagers, for NHS vouchers and for those on tight budgets. Some of our glasses are FREE for those eligible for a NHS spectacle voucher. We supply designer sunglasses with or without prescription sunglass lenses, depending on your requirements. Our range of designer sunglasses surpasses any of the department stores and boutiques. 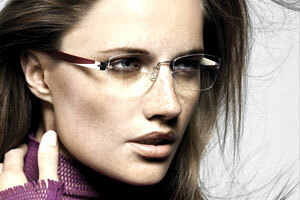 All of our designer spectacles and designer sunglasses will be custom fitted to your face to ensure maximum comfort. All designer glasses and designer sunglasses come with a designer case, cleaning cloth and authenticity certificate. We can usually supply any designer frame, even if it is not on display, please just ask. ; We retail at less than RRP and we are confident that our prices for designer sunglasses and designer glasses are cheaper than our competitors, so much so that we give a 'price promise guarantee'. Our opticians use some of the most sophisticated eye testing equipment available including Retinal Photography which allows them to identify conditions which might otherwise be missed. We conduct eye tests which detect eye conditions such as glaucoma, cataract and macular degeneration (AMD). Our comprehensive eye examinations also achieve early detectection of a variety of health conditions which are not directly related to your vision such as diabetes, high blood pressure and cholesterol. Early detection can mean that these conditions can be referred for medical intervention prior to the onset of physical symptoms. For details of our eye examination and eye testing procedure please visit the 'See Why' and 'Eyecare' pages. Keep up-to-date with all of the latest news and promotions from the BIG optician. 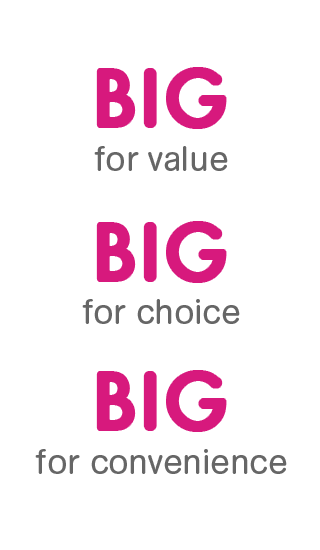 The BIG Optician regularly run offers, promotions and competitions for our valued customers. We take great pride in the levels of customer service and the high volume of repeat custom that we have as a result, so we only feel right that we give something back to you! You can see the latest offers and promotions that we are running by pressing on the button below.